What, When, Why, Where, How??? I am a trade show, conference, event enthusiast. I believe in face-to-face communication; and that this type of mass interaction brings out the most innovative ideas. The gathering of minds and personalities is an incredible feat in itself as there are so many facets to pulling it all together and make it work; and then tear it all down and make it happen somewhere else! I love it, it is exciting and definitely allows me to get my creative fix, and use skills I never knew I had, until that very second when something doesn’t go as planned. 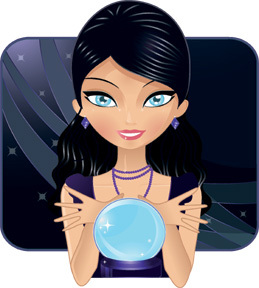 Can’t wait for some sage tradeshowgypsy advice! Thank you Michelle – there is definitely a lineage of wisdom from making sure you have a tape gun at all times, to having staff check on each other to make sure they get from point A to point B without being accosted by tradeshow revelers or locked in the storage area! Yes, it happens! Great to read all your outpourings of passion about the trade show industry! Welcome to the blogging world, you will do great! Thank you…I hope to engage an audience that can relate to some of the aspects of a show and also give a little levity to those of us on the road! It’s great that you are a real, live exhibitor blogging about trade shows. You are a rare voice. I’ve added you to our blog roll on http://www.skylinetradeshowtips.com. I just discovered your blog yesterday and I want you to know that I just love, love, LOVE it! I’ve actually though of myself as a traveling gypsy at times. It’s so refreshing to know there are other trade show gypsys out there that can relate to the many trials and errors I’ve gone through over the last 3 years. I coordinate about 25-30 shows a year and about 80% of them are solo gigs for me. The most important lesson I’ve learned is ALWAYS have a ‘Plan B’ (and sometimes C, D, E, and F!) . Keep the great advice and stories coming. I’m looking forward to your next post! Thank you Heather! There are many tricks in that gypsy bag and skills beyond comprehension that tradeshow gypsies have and use daily! You are valued and talented, keep it going out there and don’t forget to make friends along the way and keep active in your networks, you are NOT ALONE! I’m loving all of your articles, you can tell how passionate you are about the industry and that you truly believe in the power of face-to-face communication. I look forward to reading more of your articles in the future!